Definition at line 272 of file conmsg.h. Definition at line 281 of file conmsg.h. 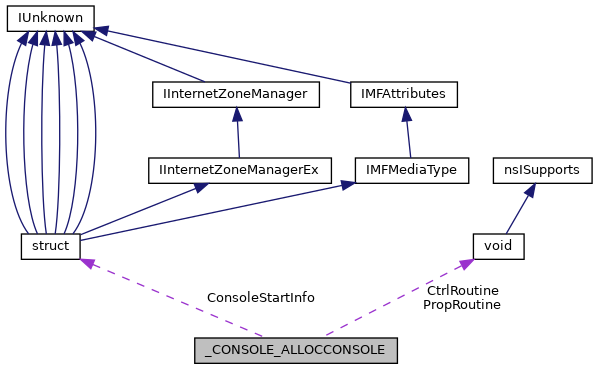 Referenced by CSR_API(), and IntAllocConsole(). Definition at line 280 of file conmsg.h. Definition at line 274 of file conmsg.h. Definition at line 277 of file conmsg.h. Definition at line 285 of file conmsg.h. Definition at line 283 of file conmsg.h. Definition at line 282 of file conmsg.h. Definition at line 279 of file conmsg.h. Definition at line 278 of file conmsg.h. Definition at line 286 of file conmsg.h. Definition at line 276 of file conmsg.h.